I recently Googled the phrase, “I am a Ukrainian lesbian.” Google told me that there were no matching search results. I thought to myself, “This is a mistake. I am sitting right here!” The lack of LGBT visibility is endemic in the Ukrainian community. 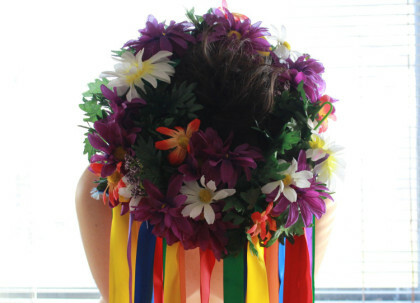 I am a Ukrainian lesbian is an investigative performance project drawing from exploratory interviews with members of the Ukrainian-American community who identify on the LGBT/queer spectrum. For this piece, I am moving beyond my personal narrative and raising broader questions about the relationship between sexual and cultural/ethnic identities. How do they shape one another? Where do they diverge? How do people reconcile these often disparate identities? My hope is that this process will highlight the importance of LGBT visibility within cultural and ethnic communities and will celebrate the intersection of diverse identities.